Team Sri Lanka is currently travelling India where they are now in tight schedule to play a Test, ODI and T20I series against Men in Blue. They have already played the Test series which consisted of three matches, India won the Test series by 1 – 0. 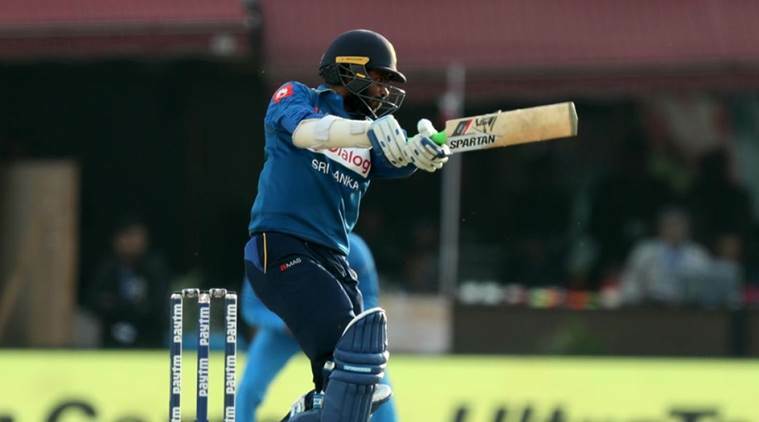 Now, Sri Lanka has started to play the ODI series against India and Sri Lanka won 1st ODI by 7 wickets. The ODI series between them consists of three matches as well. To ensure the series, Sri Lanka needs to win just one more match out of rest two. However, their first match was hosted in 10th December, 2017 at Dharamshala. Sri Lanka won the toss and elected to bowl first. India scored 112 runs and lost all wickets. They played just 38.2 overs where MS Dhoni was the highest scorer for the team. He scored 65 runs. On the other hand, Sri Lanka easily chased the score in 20.4 overs and in the meantime they lost three wickets. Upul Tharanga scored highest 49 runs for the Lions in 46 balls. Indian player Shreyas Iyer made his international debut against the Lions. However, both Thisara Perera and Rohit Sharma made their ODI captaincy debut through the match. By losing the toss, captain Rohit Sharma and Dhawan opened the innings for India. In just 2 runs, they lost two openers as well. It seems that top five batsmen liker Iyer, Karthik, Pandey did not reach to a double figure. Later, Dhoni tried with Pandya but Pandya was gone by scoring just 10 runs. Dhoni remained still but at the end of the crease, the wicket used to change regularly. Except Dhoni, just two players like Pandya and Kuldeep Yadav scored two figure runs. Finally in 38.2 overs, their innings was finished with scoring 112 runs just. Lakmal took highest four wickets and Fernando took two wickets for the Lions. Came to chase such mere score in just 7 runs, opener Gunathilaka was gone. He just scored 1 run. In 19 runs 2nd wicket Thirimanne was gone as well. He did not open his run account. In 3rd wicket partnership between Tharanga and Mathews, they added few runs when Tharanga was gone by 49 runs. He made ten 4’s in his innings. Finally, Mathews and Dickwella led the team to victory. Both scored 25 and 26 runs respectively. Kumar, Bumrah and Pandya took one wicket each.